Melania Trump turned heads Tuesday when she showed up at the White House movie theater in a brown-and-blue leather jacket and jeans for the screening of “Wonder,” a 2017 film that tells “the incredibly inspiring and heartwarming story of August Pullman, a boy with facial differences,” according to IMBD. 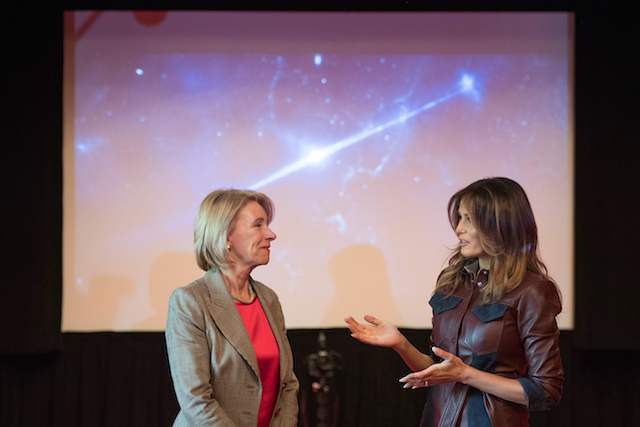 She completed the look with loose hair and matching dark blue high heels as she stood with U.S. Secretary of Education Betsy DeVos ahead of the movie and spoke to the kids. 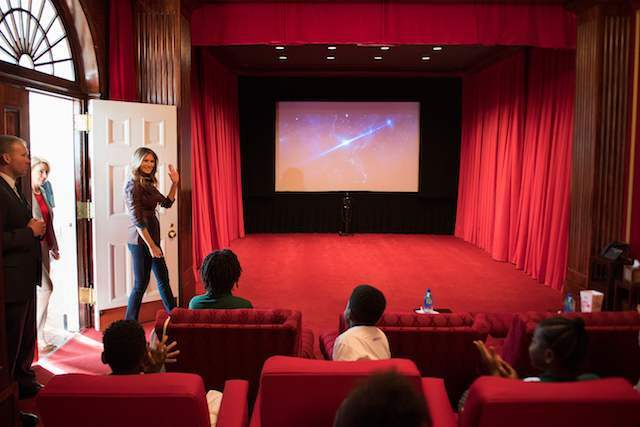 In a few of the pictures, kids — from Digital Pioneers Academy in Washington, D.C. — look ready to watch the movie complete with buckets of popcorn. 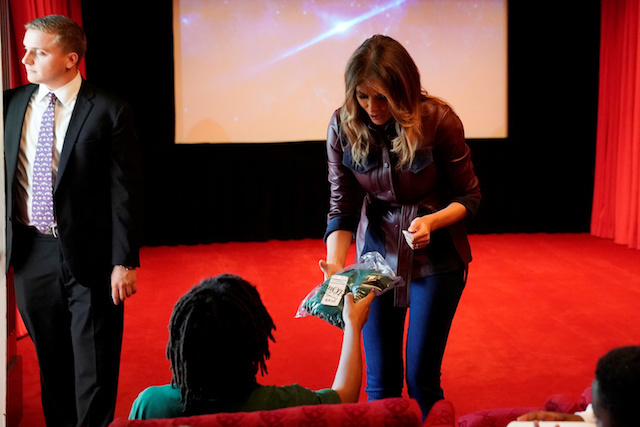 At one point, one of the students handed Mrs. Trump a package. According to caption from Reuters, inside was a green school uniform shirt from the academy.